Engaging the diaspora for national development. The International Organization for Migration is very honoured to partner with the Government of Ghana in its efforts to strengthen the engagement and relationship of the State with its citizens, and persons of Ghanaian heritage, abroad. This website is a result of a joint International Organization for Migration (IOM) and Government of Ghana project entitled �Linking the Ghanaian Diaspora to the Development of Ghana�. The project is intended to contribute to the efforts of the Government of Ghana to mobilize the country�s diaspora toward its socio-economic development through dialogue and subsequent developmental engagements in Ghana. The diaspora represents an important, and often, underappreciated national resource whose immense contribution to our Ghana�s development cannot be over emphasized. 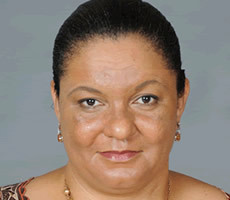 �A successful engagement of the Ghanaian diaspora is central to the country�s development, therefore we should seek to build stronger relations with the Ghanaian diaspora by making it easier for Ghanaians, or persons of Ghanaian heritage, who live abroad to engage and interact with the system� (Dyane Epstein, Chief of Mission, International Organization for Migration, Ghana). The creation of a diaspora database and diaspora website to serve as a platform for facilitating the engagement of the country�s emigrants in sustainable development by the Government of Ghana. Such facilitation is expected to result in the increment of investment of resources (know-how, financial, experience) of the Ghanaian diaspora in social and economic initiatives in Ghana, and will help address bottlenecks which prevent their effective involvement in national issues. �This project underscores the importance that we attribute to ensuring that the large Ghanaian diaspora can effectively engage, and stay connected with the system. This, and other on-going initiatives, will help ensure that we move closer to the enhanced relations that we are all seeking.� (His Excellency, Hon Alhaji Mumuni, former Minister for Foreign Affairs and Regional Integration). The dedicated website for the Ghanaian diaspora was set up with the assistance of the International Organization for Migration, and will be hosted and maintained by the Diaspora Support Unit within the Ministry of Foreign Affairs and Regional Integration. �I trust that this resource will be useful to the diaspora as a one stop shop for practical and useful information relating to Ghana� (Honorable Alhaji Mumuni). © Copyright 2014 Ghanaian Diaspora.